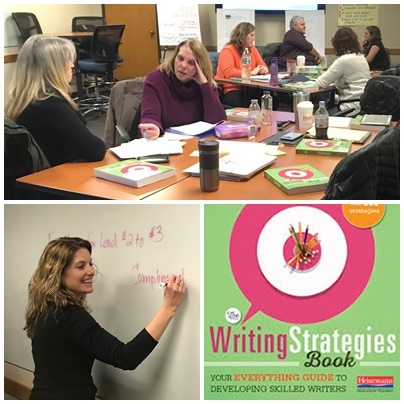 On January 9, 2018 intermediate and middle level teachers worked with Literacy PD Specialist, Jaime Mendelis , for the third day of the Writers Workshop Series. Once considered a “creative writing time” for students, Writing Workshop is now recognized as an effective and successful framework for instruction across grade levels and content areas, as seen by a number of districts implementing The Units of Study in Writing from Teachers College Reading and Writing Project. The first two sessions of the series centered around the instructional framework of writing workshop as well as how the structure supports assessment. 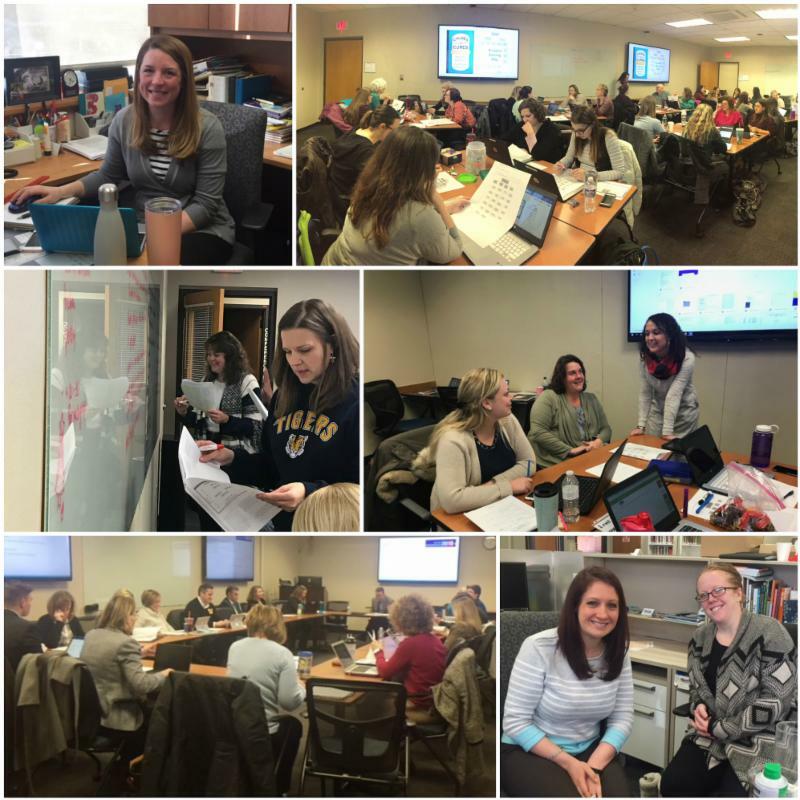 This day moved educators’ focus to differentiation – specifically the implementation of whole group, small group and conferences within the Gradual Release Model that Writing Workshop supports. This session began with an integration of teachers’ previous work with assessment to a study of writing on a learning progression, supporting the essential question of effective writing instruction: What is this writer trying to do, and what feedback will move him/her forward? This included a consideration of how our youngest writers begin their journey of letter to word formation and meaning-making, and then working across the writing continuum through the decisions, such as organization, craft and elaboration, of secondary writers. Participants assessed themselves, each other and sample students as writers on this progression, focusing on the design of formative feedback that would move a writer, and not just the writing, forward. This feedback was transferred to pieces of student writing, and teachers practiced the structure and techniques of effective conferring within the scope of a typical time frame for a 3-8 schedule. The session closed with an examination of assessment data from participants’ own classrooms, developing teaching points and planning for small groups and conferences. Intermediate ELA, special education, and literacy teachers are welcome to attend the final session of the series on Wednesday, February 21 st , which will spotlight writing in a digital environment, to include writing digitally and supporting writing instruction using multimedia resources . Register here ( prior participation in the series is not required ). Technology Integration Specialists, Rick Bray and Barb Tasber , have recently been working with teachers in the Maine-Endwell and Windsor School Districts to help plan and integrate technology to empower students in cross-curricular learning centers that promote inquiry, literacy, and collaboration. By starting with teacher-identified curriculum and intended outcomes, Rick and Barb are able to suggest ways to integrate technology to best meet the needs of the students in meeting these goals. They then guide, model and support just how to do that. That support and guidance is the key to getting started according to one of the teachers they are working with. Teachers are using a variety of tech-based programs to bring their curriculum to life and engage learners. One of these apps is Chatterbox , which has allowed teachers and students to animate photos, such as those of explorers Henry Hudson and Samuel de Champlain, to create videos as if the explorers themselves were telling you about their lives! Wonderopolis and Mystery Doug are two other favorite sites used to build inquiry-based learning. On these sites, students can learn answers to questions about a topic they are studying posed by real students. They can also submit questions they are wondering as possible questions for the sites to respond to. Another valuable aspect of using technology is the informative data teachers get from a variety of formative assessment platforms, such as Flipgrid , Schoology Quizzes , and Quizlet . These tools allow them to get immediate feedback on student progress and plan accordingly. So, do you think you’re ready to give it a try? Take the advice of a teacher who has been in your shoes! Bring the physical and the digital together with the Media Library’s Augmented Reality resources. Augmented Reality, or AR, overlays digital content via an app onto the world around you. The Media Library offers several AR resources to enhance student learning. At the elementary level, PopAR Smart Books and PopAR Maps use visual 3D objects, animations and interactions that pop off the page. 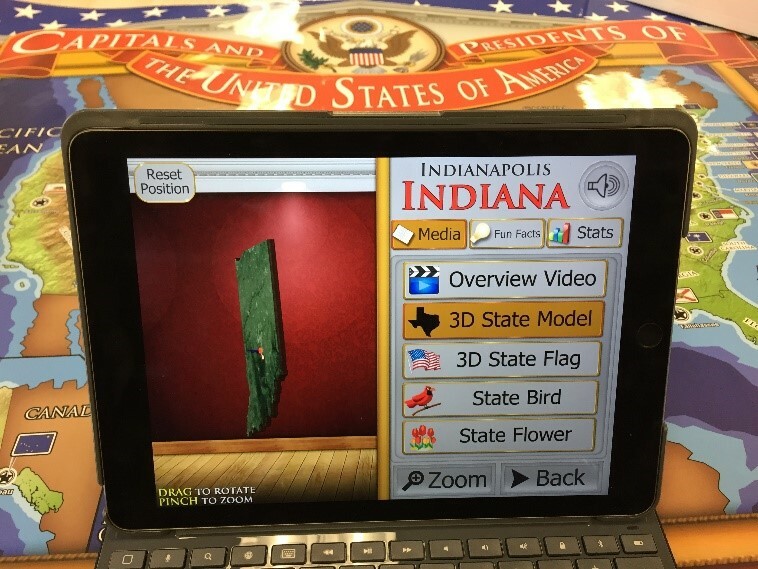 Current 3D books available for loan cover science and ELA topics; social studies instruction is supported by our two available maps: USA Capitals & Presidents and a World Map of Wonders & Landmarks. Each PopAR item has a downloadable app and instructions. Special symbols guide the learner to the interactions, videos, read-alongs, and games. Touch your mobile device screen to change an animation or object; swipe to spin and pinch to enlarge or shrink the 3D objects. At the secondary level, bring history to life with our AR-enhanced primary source documents. Scan a historical photo, and see a corresponding video of the event in action using the Aurasma AR app . For a full list of our AR resources, visit: https://tinyurl.com/BTBAugmentedReality . No device? Borrow iPad Minis from the Media Library , too, to bring AR to your classrooms. Please contact Kristina Garcia at kgarcia@btboces.org if you need assistance with ordering any of our Media Library resources.